Avendus Capital advises Unbxd on its Series C financing led by Eight Roads Ventures with participation from existing investors. 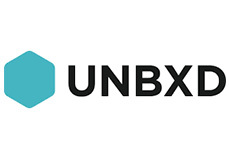 Unbxd, the cloud-based product discovery platform for e-commerce, has raised Series C funding led by Eight Roads Ventures, the proprietary investment arm of Fidelity International Limited, and from existing investors IDG Ventures, Inventus Capital Partners and Nirvana Ventures. Unbxd will further invest in its artificial intelligence (AI) powered platform that enables online retailers to capture the 15%-40% in revenue that is lost due to a poor product discovery experience. Kris Gopalakrishnan, Infosys Co-Founder, also invested in the round. Avendus Capital was the exclusive financial advisor to Unbxd’s Series C round. “Unbxd has a great product/market fit, and now is the right time to accelerate its go-to-market strategy. Ecommerce product discovery tools represent a multi-billion-dollar opportunity globally and Unbxd is well positioned to emerge as a leader in the space,” said Raj Dugar, Managing Partner, Eight Roads Ventures. Unbxd’s revenue grew 400% in the past year and it strengthened its Internet Retailer 500 customer base by adding leading retailers including Ashley HomeStore, Express and FreshDirect. Unbxd, the fastest growing e-commerce product discovery platform, applies artificial intelligence and advanced data sciences to connect shoppers to the products they are most likely to buy. http://unbxd.comUnbxd enables personalized site search, navigation, product recommendations and merchandising for leading online retailers including Ashley HomeStore, Express, FreshDirect, Rue21 and ibSupply. Unbxd powers more than 1.5 billion shopper interactions a month. Eight Roads Ventures backs entrepreneurs with aspirations for greatness. By combining a collaborative approach with the strength and resources of the Fidelity network and a near 50-year history of investing, Eight Roads helps companies across the globe accelerate their growth and become leaders in their field. Our track record includes investments in Alibaba, BankBazaar, Cloudian, IFMR, Icertis, Made.com, Manthan Systems, Netmagic (NTT) and WHILL.